I was going to write about something else but the other day one of my Twitter friends tweeted “Plz donate your used towels & blankets to an animal shelter.” I mentioned that we had a pile of donations waiting to be picked up by A Call 4 Paws. The pile included cat food, toys, cat tree, and old t-shirts and sweatshirts. Pepper then axed what they would use sweatshirts for. I was a little surprised she didn’t know. Last year this cat tree was donated. Shelters need more than cat food and litter. They also need a laundry list of other things, including cleaning supplies, trash bags, old towels, blankets, feeding dishes, PTUs, paper towels and plates. Yes, they can also use t-shirts to cut into cleaning rags and sweatshirts which can be cut up and used in cages or as cleaning rags. 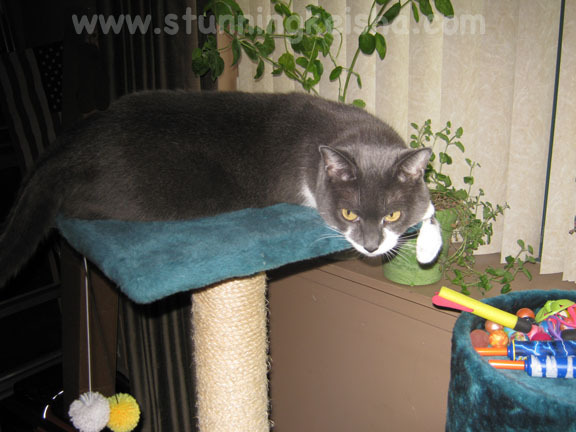 Another item that a shelter can use is carpeting to make their own scratching posts. Shelters that also house dogs need leashes and collars also. Lastly, if you received any Christmas presents that you can’t use, your shelter can auction them off in a Tricky Tray. Use your imagination and your shelter will probably welcome it. Our donations from a few years ago. You are one smart kitty. I always forget this. I am putting April in my calendar now so I don't miss another one! Great ideas for shelter donations. Nice list of stuff CK. I have also seen this DIY thing online where they turn sweatshirts into pet beds. Looks pretty cool anyways. We take tons of stuff about too and they always do appreciate everything. That Olivia sure is a cutie! This is a pawesome reminder. When our grandpeep passed away last year, we had all kinds of medical equipment that of course we had no more use for, including formula for human feeding tubes. Our local shelter was thrilled to have it all, and it was a real relief to figure out who could use it. Talk about win win. We had never heard of a tricky tray and had to Google the term. Interesting! Another thing you can do... if you have items that your preferred rescue can't use, check and see if another rescue in your area runs a thrift store. Only one in our area does, but it's another place that might be able to take gently used items and turn them into money to save animals. Humans just need to think a little more creatively, and I bet they'd come up with lots of things that rescues and shelters could use - that they have just sitting around the house! 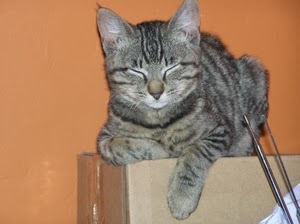 Olivia is adorable - hopefully she finds a home soon! Always a good reminder that there's more needed (or can be provided) than just plain old cash! Great post, CK! Yes, shelters really can use so much stuff most people wouldn't even think of. And most of them have a list of things they can use (our shelter certainly does). It's amazing all the things shelters can use besides green papers. Humans can help in so many ways. Thanks for reminding us, CK. Thanks for all the wonderful suggestions for items that shelters may need! :) We hope Olivia finds a home soon! Sweet Olivia!!! We hope you find your forever home very soon!!! That is great to give to local shelters as every little helps we are sure. Nice one. Have a tremendous Thursday. Those are some great stuff to give to a shelter. We're very sure they'll be much appreciated. Purring sweet little Olivia gets adopted quickly! I will ask my shelter again. They turned down the clean old sheets and toys a few years ago and said they didn't need them. I was shocked. CK, I LOVED that card. LOVED it. Thank you SO much. It was adorable! That sack race was IT! <3<3<3 and fanks you for being DJ. 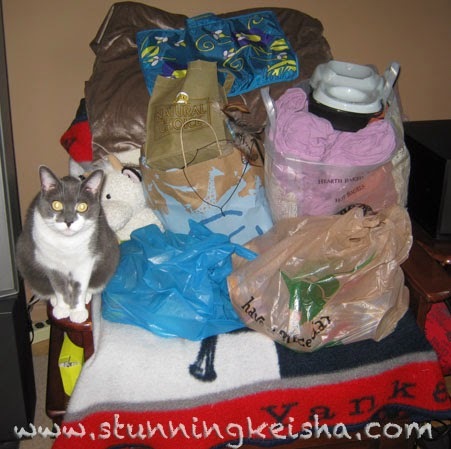 Great reminder post about donating items to the local shelters & rescues! Yes,great reminder for donating to our local shelter. I'll be nudging M to do that soon. What a great post CK! And boy, yous sure donated a passel of stuffs! That is so terrific that you do that nice donation to the shelters. We love to sleep on sweat shirts. They are the best. Hope you have a great Friday. Pawsome reminder CK! We have lots of stuff we need to gather up to give to our local shelter too! We've seen lots of cute beds made out of sweaters and sweatshirts too! 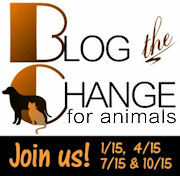 Great ideas to help the shelters. We is going to tell mom to get rid of some of those old rags in her drawers...we knows kitties and woofies would appreciate them. Good luck sweet Olivia, we hopes you finds your furever home furry soon. we agree with Ann, those sweatshirts turned into cat beds look kinda cool! D'oh! we forgotted to mention the most important thing: thanks for reminding people to donate!! !